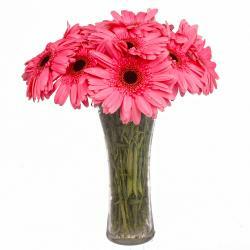 Product Consist : 12 White Gerberas with green fillers nicely arranged in a Vase. 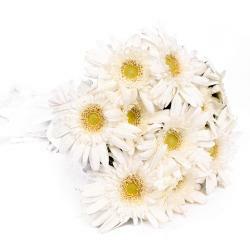 Add a fresh new look to your home with this bouquet of White Gerberas. 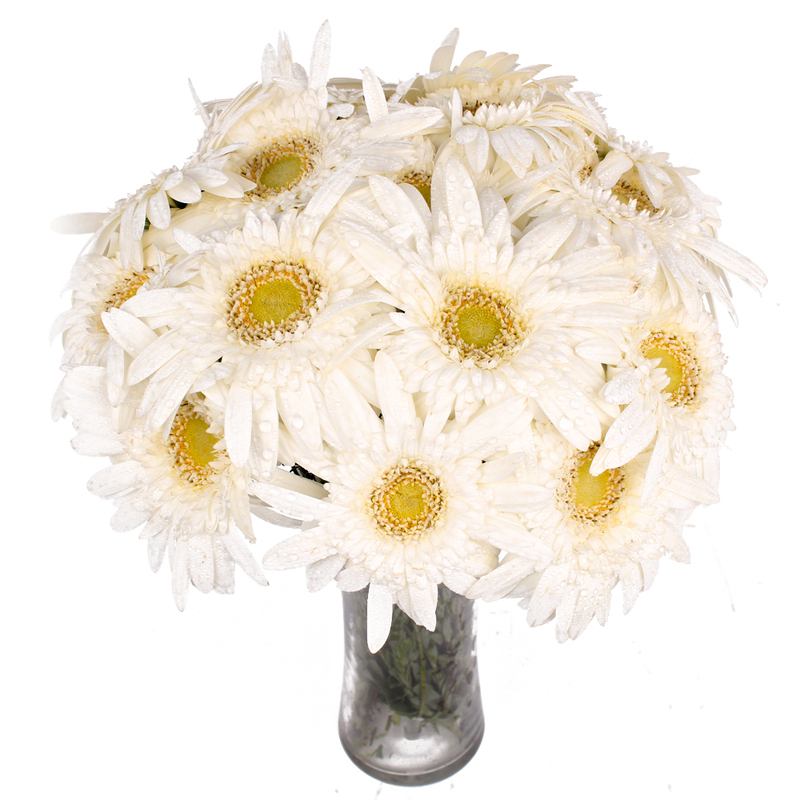 It comprises of twelve white gerberas flowers that have been arranged in an ornate fashion in a classic vase. 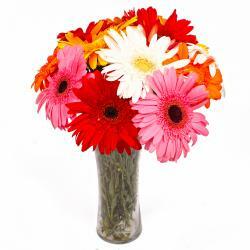 The vase ensures that the flowers maintain their arranged long after they have been assembled. 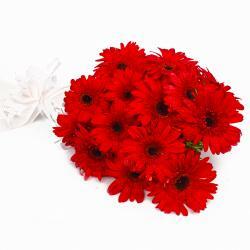 Apart from brightening up your home, you can gift these vase of gerberas on celebratory functions such as Birthday, Anniversary, Retirement Gifts, Easter, Valentines Day. The flowers are in full bloom and look beautiful enough to put a smile on the receivers face. 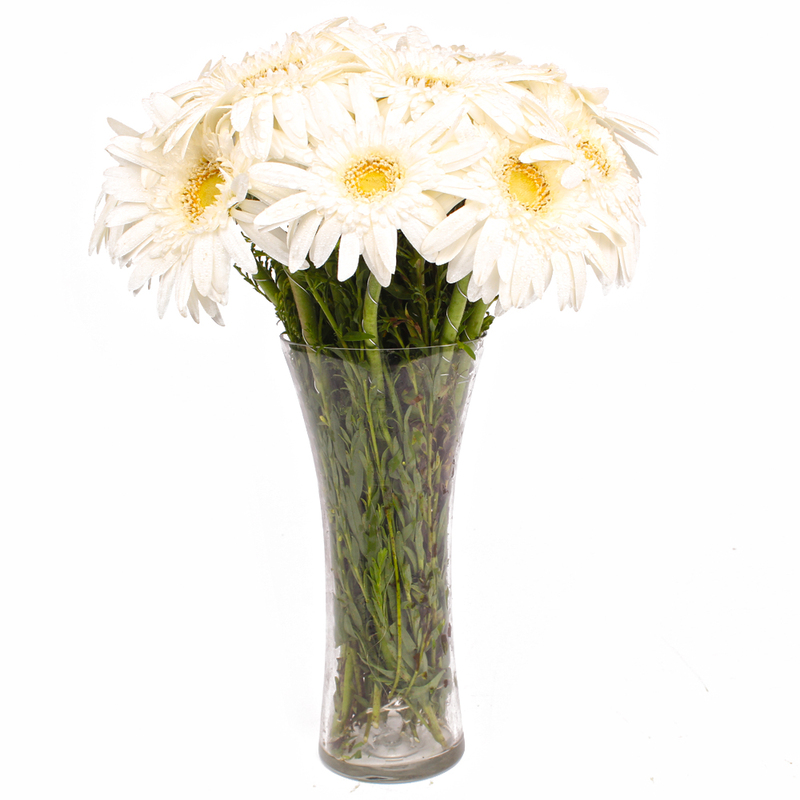 Product contains : Twelve White Gerberas with green fillers nicely arranged in a Vase.